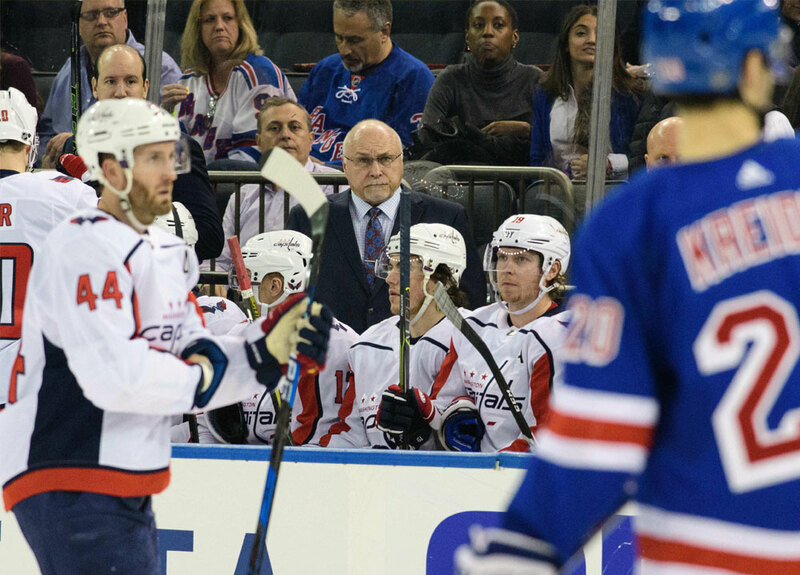 The Bary Trotz Impact: How The Islanders Have Changed Under A Stanley Cup Coach? One of the most puzzling NHL moves last summer was the decision of Barry Trotz to leave his head coaching job with the Washington Capitals shortly after guiding the team to its first ever Stanley Cup. The 56-year-old Trotz was reportedly making $2 million a season in the nation’s capital and was looking for a new five-year deal at $5 million a season. The Capitals balked though as they reasoned that the shelf life of head coaches in the NHL is reasonably short and Trotz had already been there for four years. They felt the odds of him seeing out nine years in total behind the bench were pretty slim even though he previously spent 15 seasons as the head coach of the Nashville Predators. Therefore, Trotz felt it was a better business decision to pack up and head to the Big Apple where he would make $4 million a year as the new bench boss of the New York Islanders. There was an opening in Brooklyn after Dough Weight was jettisoned by the Islanders along with former general manager Garth Snow and Trotz felt it was a good fit. Lou Lamoriello had just taken over from Snow as he walked away from this GM position with the Toronto Maple Leafs just a few weeks earlier and made an offer to Trotz, who was the fifth-winningest coach in NHL history at 762-568-60-34 in 1,524 regular-season games. The old-school Lamoriello, who has an ancient rule against facial hair for his players, may have taken a step forward by landing Trotz, but he then took at least one step backwards soon after when free agent John Tavares left the organization to sign a long-term deal with the Leafs. Tavares had been the face of the Islanders since debuting in 2009/10, but Lamoriello and Trotz failed to convince him to re-sign with the club. It must have hurt to lose their franchise player and team captain for absolutely nothing, but to be honest, Tavares led his squad to the playoffs just three times in nine seasons in New York. He’s obviously one of the best centers and players in the league, but Tavares made it to the second round of the playoffs only once while in New York. He just turned 28 years old and will perhaps have better luck in the postseason with the Leafs. Their fans hope so anyway after he was handed a seven-year deal worth $77 million. But losing Tavares may have actually helped Trotz as his players entered the 2018/19 season knowing they had to pull up their socks now their best player was gone. They could no longer depend on their top forward to do everything for them and needed to improve their work ethic. The Islanders got off to a decent start this season at 8-6-2 for 18 points and sat in third place in the Metropolitan Division in mid-November despite losing their last three games. They were scoring at a pace of three goals per game so didn’t seem to be missing Tavares that much and their goals against was fifth-best in the league at 2.56. But one wonders how much of an impact Trotz has made early in the season with his new club. Well, the Islanders finished in seventh place in their eight-team division last season by going 35-37-10 for 80 points. Their 261 goals scored were tied for seventh-most in the league and their 293 goals against were the most allowed. There are some obvious improvements early on as the team is on pace to make the playoffs with 92 points if they can keep it up. Their goal scoring may be down slightly but let’s be honest, coaches can’t really teach players to put the puck in the net. They can teach them how to keep it out of the net though and play better defensive hockey and that’s what Trotz has done so far. He’s always been known as a good defensive coach with some fans believing he may even be too defensive, especially during his stint with Nashville. So while the Islanders’ goaltenders and defense have played better, Trotz should get some of the credit too. It’s also a good idea to compare other coach-able aspects of the game such as the penalty-killing and power-play. The Islanders were ranked 22nd in the league with the man advantage in mid-November at 17 percent while their penalty-killing was 15th best at 81.1 percent. This compares to last season’s power-play which finished sixth best at 23.2 percent and a penalty-killing unit which was dead last in the 31-team league at 73.2 per cent. Again, Trotz can’t teach players to score so he’s not completely at fault for the drop in the power-play and it’s also operating without Tavares this year. On the other hand, penalty-killing is a defensive aspect of hockey and Islanders’ fans can see a big improvement in this area under their new head coach. Trotz isn’t exactly devoid of talent on his bench since the Islanders’ roster boasts last year’s rookie of the year Mathew Barzal who had 22 goals and 63 assists for 85 points in 2017/18 as well as fellow forwards Josh Bailey (18G-53A-71pts), Anders Lee (40G-22A-62pts) and Jordan Eberle (25G-34A-59pts) along with defensemen Nick Leddy (10G-32A-42pts) and Ryan Pulock (10G-22A-32pts). They are also getting good production from Brock Nelson, Casey Cizikas, Valtteri Filppula and Andrew Ladd up front this year along with defenseman Scott Mayfield. After winning an American Hockey League championship and being named coach of the year in 1994 with the Portland Pirates, being named NHL coach of the year for 2015/16 and winning last year’s Stanley Cup with Washington there’s no doubt Trotz knows what he’s doing behind the bench. He’s now in his 20th season as an NHL head coach and after a fine start to the 2018/19 campaign it looks like he’ll be a good bet to turn the New York Islanders’ fortunes around.